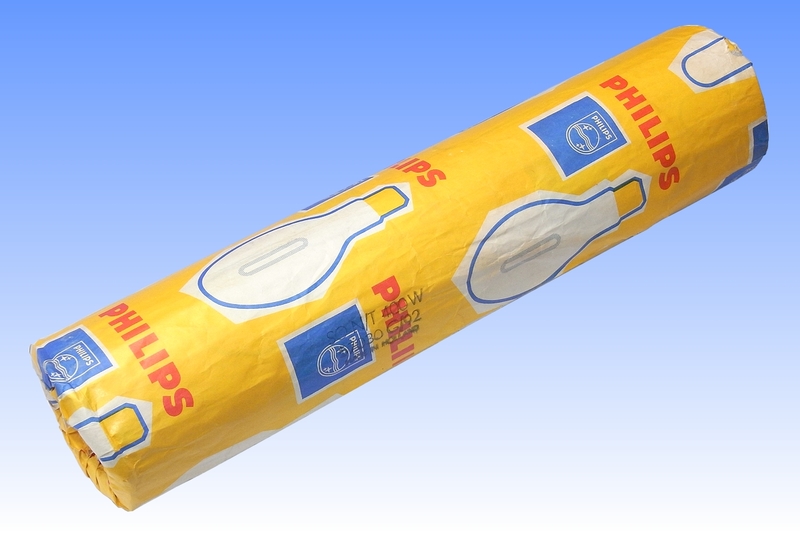 Philips was relatively late to introduce its first HPS lamps, but the delay was more than compensated for by the excellence of its design, which has since been widely copied. 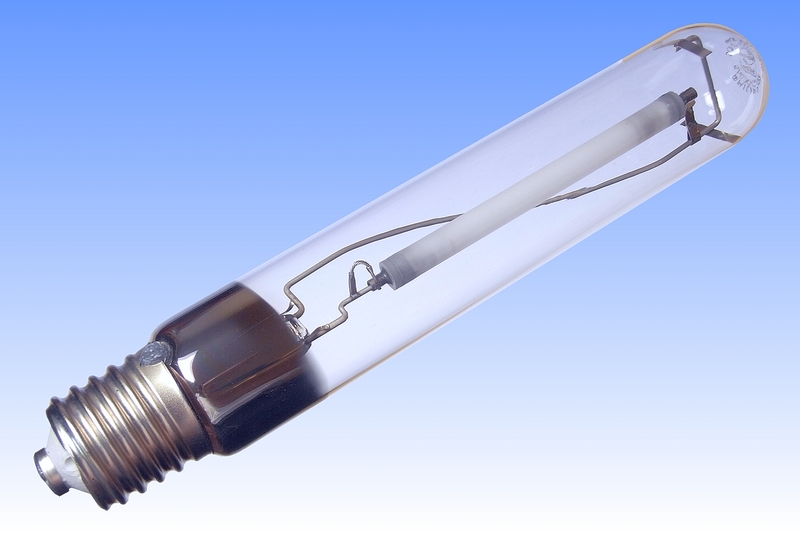 The earliest HPS lamps employed plain cylindrical alumina arc tubes, the ends being sealed with niobium cups using a metallic braze or glassy frit. Such seals are reliable but very expensive. Later designs employed simple niobium wires or tubes of much narrower diameter than the arc tube, the gap between these components being filled by alumina plugs, these also being frit-sealed into the arc tube ends. Such seals are cheap but unreliable - often cracking due to tensile stresses in the glass/ceramic, and any frit that enters the arc tube is attacked by sodium. 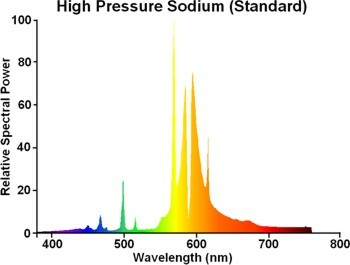 The loss of sodium leads to voltage rise and short life, and changes in the expansion coefficient of the reacted glass can also lead to cracking. The problem was elegantly solved with by the so-called Monolithic Seal developed by Taeke Tol and Bert de Vrije of Philips Eindhoven, in which the alumina end plugs are co-sintered directly into the arc tube body. This reduces the diameter of the ends such that a thin niobium wire or tube can be sealed in with a greatly reduced quantity of frit. Penetration of frit into the arc tube is reduced, which is enormously beneficial for lifetime and reliability. In this early design, additional external alumina washers are used to increase the length of the seal path, for still greater reliability. 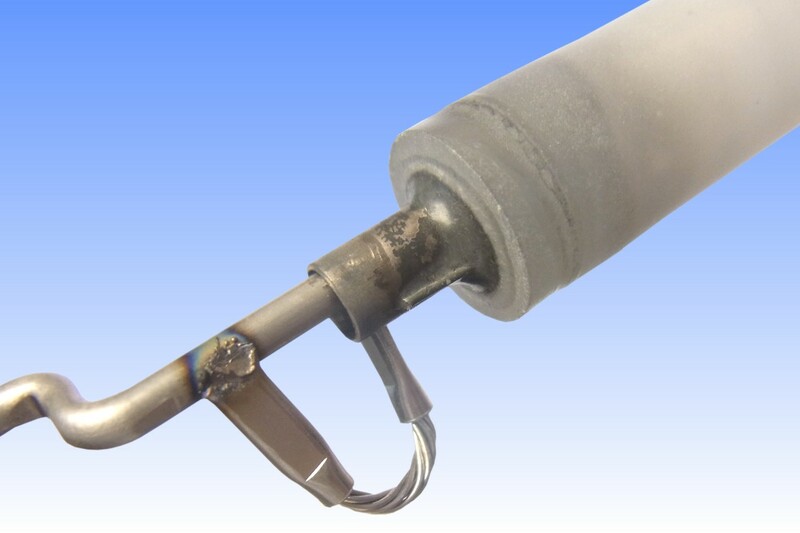 Short Nb wires welded to the sides of the Nb tubes serve as a stop to fix the electrode insertion depth. 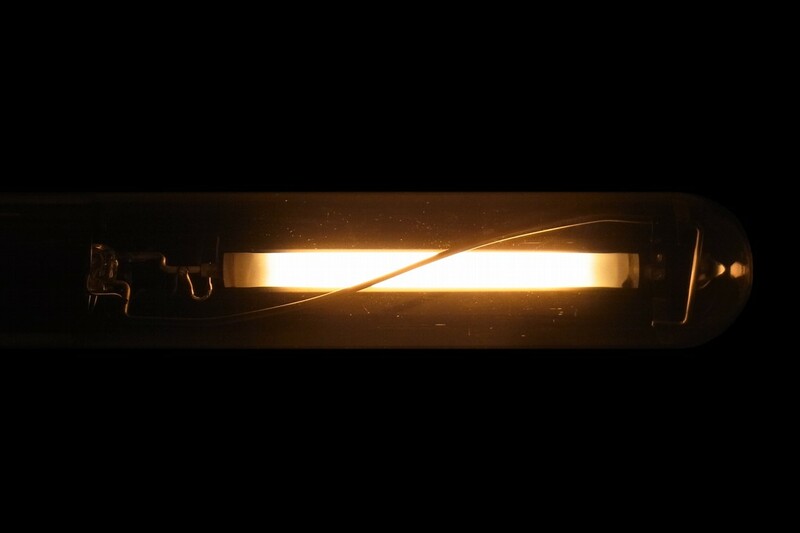 Incidentally, the reason for the spiral-shaped frame wire is to avoid shadows from being produced around the lamp. References: 1) Philips Lampenkatalog, Germany, 1971. 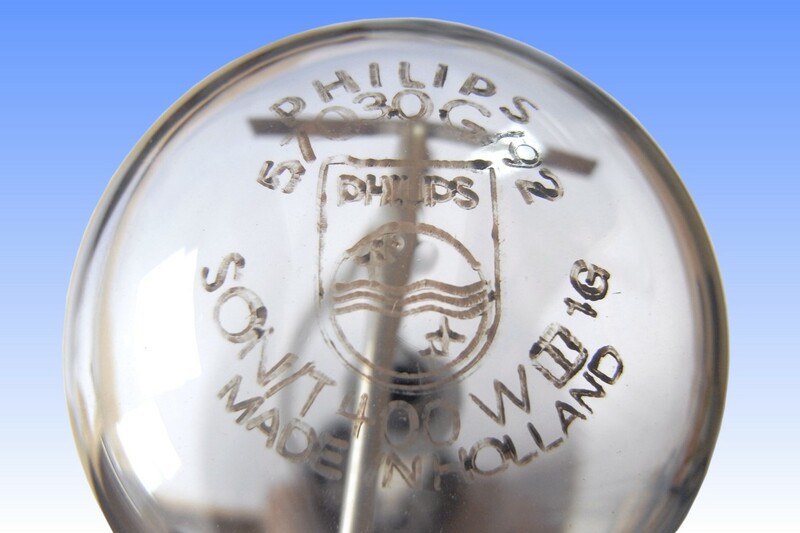 2) Philips UK Lamp Datasheet, SON High Pressure Sodium, PL8190/2.16 (July 1969).